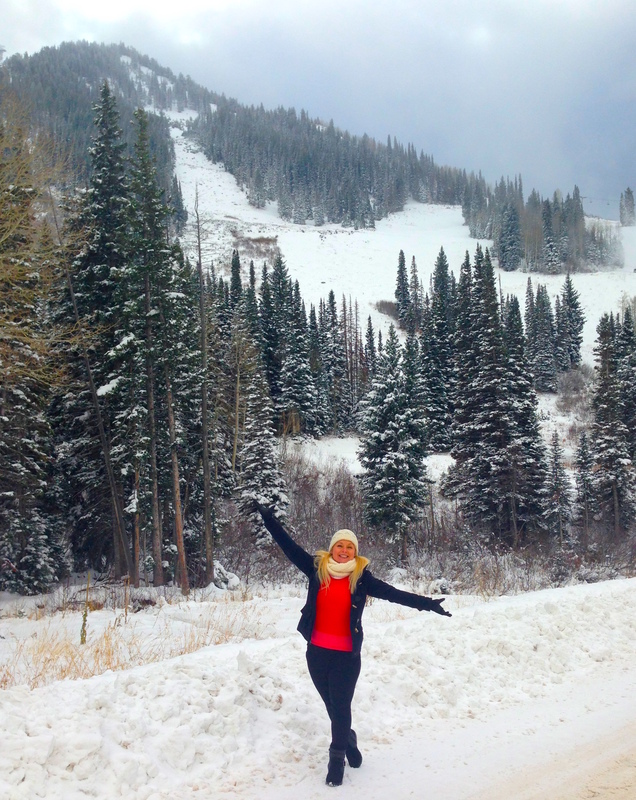 Winter is the perfect time to visit Salt Lake City. Snow-capped mountains and snow-topped rooftops, the holiday spirit still lingering in the air, and you’ll be thankful to discover that it’s a misconception that this Mormon town doesn’t serve some seriously good coffee. Phew! That was a close one. 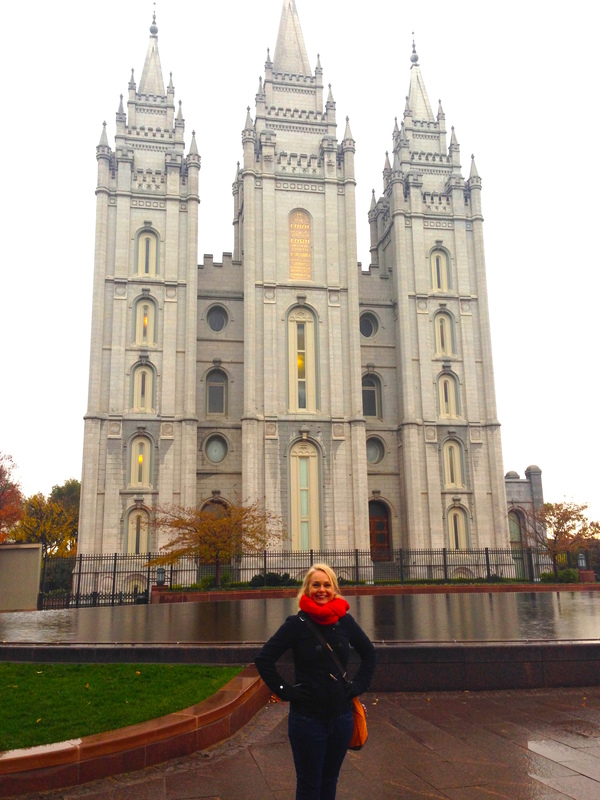 There’s two main reasons to visit Salt Lake City: The Mormon Temple and the great skiing. Let’s bundle up & explore both. In 1846, a group of pilgrims headed west from Nauvoo, Illinois, in search of their new Jerusalem. They chose a spot out in the untamed west, in a valley near a lake, and built their own Solomon’s Temple. Those people were Mormons, their new home was Salt Lake City, and their new church was Salt Lake Temple. Today, the Temple is beautifully surrounded by the 35-acre Temple Square. Now, unless you are a member of the Church of Latter Day Saints, you will not be allowed to enter the Temple, as it is considered a truly sacred place. But, you can take as many pictures as you like of the exterior. And its Gothic architecture is stunning, covering more than a quarter-million square feet. You can see the spires, reaching 223 feet into the heavens, from just about anywhere throughout downtown. Symbols to look for: the angel Moroni with his trumpet on top, the clasped hands of fellowship, and the all-seeing eye of God. There’s lots more to see and do here at Temple Square. When you arrive, you will most likely be greeted by a pair of Mormon missionaries. My hosts were from Mongolia, two 19-year old girls, who were just as sweet as can be. Ask your hosts anything about the history of their church, and they’ll know it. Visitors are welcome to tour the grounds, the smaller, original church, now used as a fellowship hall, and you can go inside the Tabernacle, with daily free Organ Recitals. I loved the Recital. The organists are incredibly talented and friendly, and the performance includes a demonstration of the unique acoustics built into the structure. He or she will drop a pin, and tear a piece of paper at the Lecturn, and you’ll be able to hear it from any spot in the Tabernacle. Outside the gates, you can also tour the massive LDS Conference Center, where the famous Christmas Concert is performed each year. Tickets are free, but done by lottery, so check the website around August each year. Then there’s the incredible LDS Family History Library, the world’s largest collection of free family trees, genealogy records and resources. This was definitely one of my favorite stops. It’s absolutely free, no appointment needed, you just walk on in, and the Sisters and Brothers will help you track down your family tree. When you leave, you get to keep the free online account you’ve created on FamilySearch.org, to continue your search from home. You never know what you’ll find! The second reason to visit Salt Lake City is for the skiing, even if you’re not an expert skiier. I checked out nearby Snowbird, just a quick drive up the mountain from downtown. Nestled in the Wasatch Mountains, originally a silver mine, today Snowbird Ski & Summer Resort is home to a world-renowned Mountain School and plenty of family-friendly activities. Even the drive up from Salt Lake City is fun. Be sure to take plenty of pictures and videos, as you wind your way up Little Cottonwood Canyon. Especially in the winter, all the little snow-covered towns and neighborhoods look like Santa’s Villages. Once you’ve arrived, you basically have three choices for the day’s activities. One: Join your fellow ski and snowboard pros and spend the rest of the day gliding down incredible and challenging ski runs. Two: Enjoy the more leisurely activities, like the Aerial Tram Ride & walking trails. Three: park yourself in front of the massive windows at the Lodge Bistro, watch all the ski action in the heat, whilst snuggling up with some hot cocoa and a bucket of fries. You will love the Scenic Aerial Tram Ride. It takes you up to the 11,0000 foot tall Hidden Peak. In just ten minutes, you’ll travel 1.6 miles over stunning views of snow-capped slopes, Salt Lake Valley, and the mountain town of Alta. Note to the vertigo-prone: keep in mind that you’ll be traveling up almost 3000 feet. There’s also the Mountain School for all ages and skill levels, and enough ski runs to challenge even the most expert skiier. Fortunately, for those of us who just want to take in the gorgeous views, there’s some easy hiking/walking trails too. For a leisurely one-mile nature walk, start at the Snowbird Plaza, and mosey your way around to the observation deck overlooking the Gad Valley. Ahhh….. Okay, maybe there’s a reason #3 to visit SLC: The Great Salt Lake. You can’t visit a city named after a lake, and not visit the lake, right? It’s a little bit of a drive from downtown, but you really should go. You can’t swim in it, but you can boat, kayak, and hike around it. The Great Salt Lake is 75 miles long and 35 miles wide, and is the largest natural lake west of the Mississippi. Today’s lake is a remnant of an ancient lake that once covered most of western Utah. Why is it salty? Well, because it doesn’t have any tributaries to carry out the salt water. And, just like the Dead Sea, yes, you can float like a cork here, because the saline content is so high. Just maybe not now, in the winter. Might be a little chilly. The Salt Lake City Connect Pass gets you 50 – 80% select attractions. Perfect for traveling families. Which is where you should book your hotel. Lots of major hotel chains to choose from in Downtown Salt Lake City. The main area is clean, well planned out, and walking distance to Temple Square, a huge outdoor mall, restaurants, all the major cultural attractions: concert venues, museums, and the SLC Visitors Center. There’s also a free trolley to get you around if your Uggs are making you say Ugh. Then, when it’s time to head up to the mountains to ski, take the Ski Bus, which has several convenient downtown stops. With temps in the 20s, 30s and 40s, now is the perfect time to snuggle up in your best coats & scarves. And you do not, I repeat, do not, want cold, wet feet up on those mountains. The SCOTTeVEST Lola Puffer Jacket in Sparkle. It’s the Puffer that’s not too puffy. Will keep you warm, and no need for a purse with all the nifty hidden pockets! Original Fit Ponte Perfect Zip-Pocket Jeggings in Black. I’m not normally a fan of leggings, but these actually look like pants, not tights, and paired with some wool tights will keep you super-warm and fashionable. Bearpaw Foldable Travel Booties in Black. These will take you from plane to train to downtown, and dressy enough for Temple Square. Fleece Zip-Pocket Scarf in Red & Touch Sensor Pocket Gloves, also in Red. I don’t know how I survived winter travel without these before!